Annan Dental offers all types of general and cosmetic dentistry, including teeth whitening, to all the latest preventive advice to help you keep healthy teeth and gums. We offer a full range of NHS dental care for you and your family. Alternatively, private dental treatments are also available if you are not currently NHS patient. We have now introduced Facial Rejuvenation services to the practice which involves dermal fillers, lip fillers and botox. We have currently closed our books to new NHS dental patient registrations to the surgery. 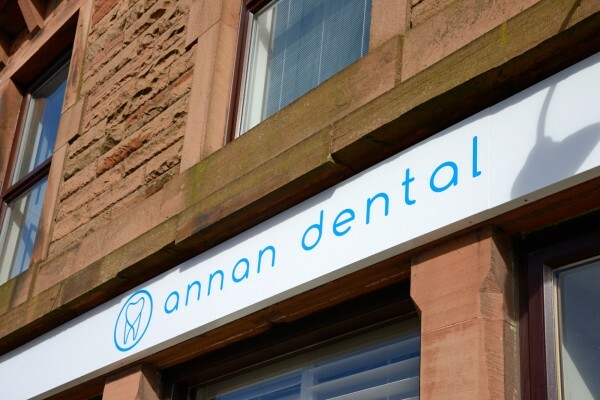 Annan Dental & Implant Centre was opened in June 2015 on the town’s Church Street after the previous dentist retired. We immediately installed a second surgery to the dental practice and were able to accept new patients. In June 2016 we opened our second practice in the town at Bank street. If you are a little nervous or scared of visiting the dentist, please don’t worry! All the team at Annan dental practice are trained to deal with patients with dental phobias and have many years experience to help ease any concerns and put your mind at rest. Annan Dental are primarily an NHS dental practice. However not all dental treatments are available on the NHS. Our dentists are able to provide a full range of NHS treatment as well as private dental options. We now also provide non dental services such as Dermal fillers, Lip fillers and Botox.